Infrastructure and finance solutions company, IL&FS to cut 65% jobs in an attempt to reduce the wage bill by 50%. The board at Infrastructure Leasing and Financial Services (IL&FS), led by Uday Kotak, with a focus on cost reduction and “manpower optimization”, plans on cutting 65% jobs. This would eventually lead to the wage bill being halved and, the board hopes, would help to pull the company out of its debt-ridden peril. In a report to the National Company Law Tribunal (Mumbai) on the progress and way forward, the company board mentioned that in order to lead to savings across the entities within the group, the changes in manpower management would be carried out in two phases. It its filing at the Bombay Stock Exchange, the company stated, "Phase I will contemplate initiatives like salary rationalisation of employees, separation of superannuated consultants which have been executed, which are likely to yield net savings of approximately Rs 100 Cr annually." The company added that Phase II initiatives, which included talent restructuring and amalgamation of roles & responsibilities would be under way soon. The board was formed under the direction of the government after NCLT approved a resolution of the liquidity crisis at IL&FS bearing in mind its debt of Rs 91,000 Cr. The beginning of the week saw IL&FS appoint former L&T Group veteran, N Sivaraman, as Chief Operating Officer, who would be managing the group's asset-monetization efforts. The National Companies Law Tribunal (NCLT) has passed an interim order asking nine directors at IL&FS including Ravi Parthasarathy, Hari Sankaran and Arun K Saha to divulge details of their movable and immovable assets, bank accounts and jointly held assets in the course of the next three weeks. Manpower adjustments for companies in debt seem to be a logical step forward but how does this impact the average employee? 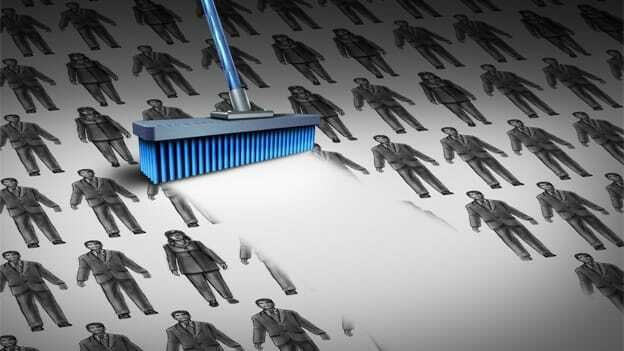 Job security, which is one of the most important aspects of a job to an employee, seems to be all to easily compromised.